Liberate the light of plenty with the Fortune Floor Lamp. 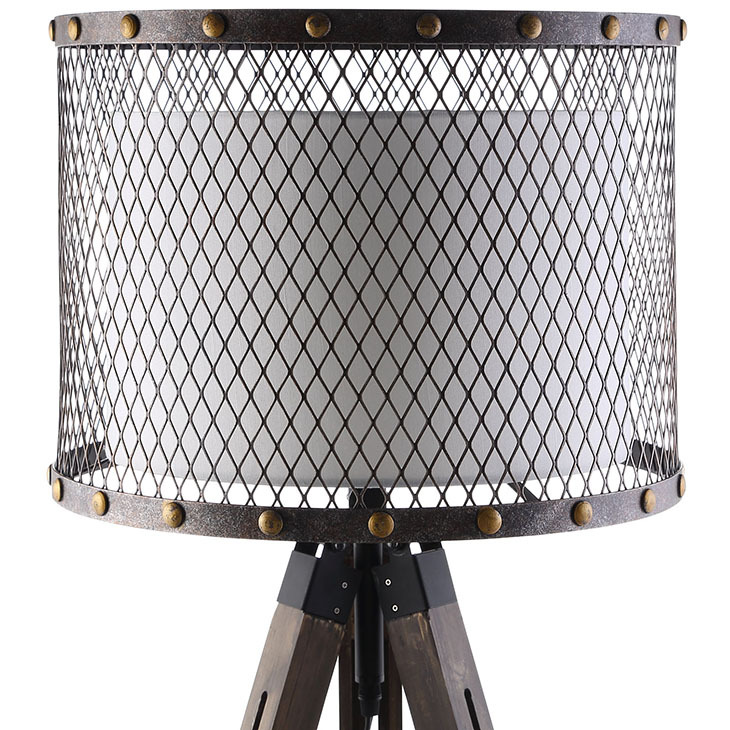 Escape the fetter and illuminate to abundance with a piece that artfully blends steel, fabric, and pine wood elements. 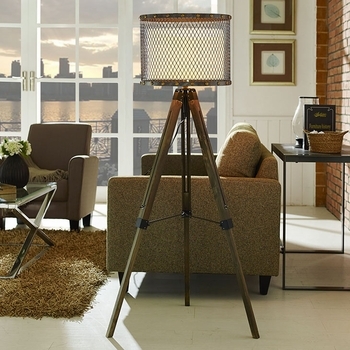 Fortune’s external mesh casing is made of iron-tinted solid steel and brass nails for added effect on the trim. The internal drum shade is made of cream-colored fabric. Fortune is positioned on a solid pine wood and black coated steel easel-style tripod stand that further enhances the creativity of this piece. Fortune is well suited for rustic, ranch, vintage modern, industrial modern, and other transitional decors.